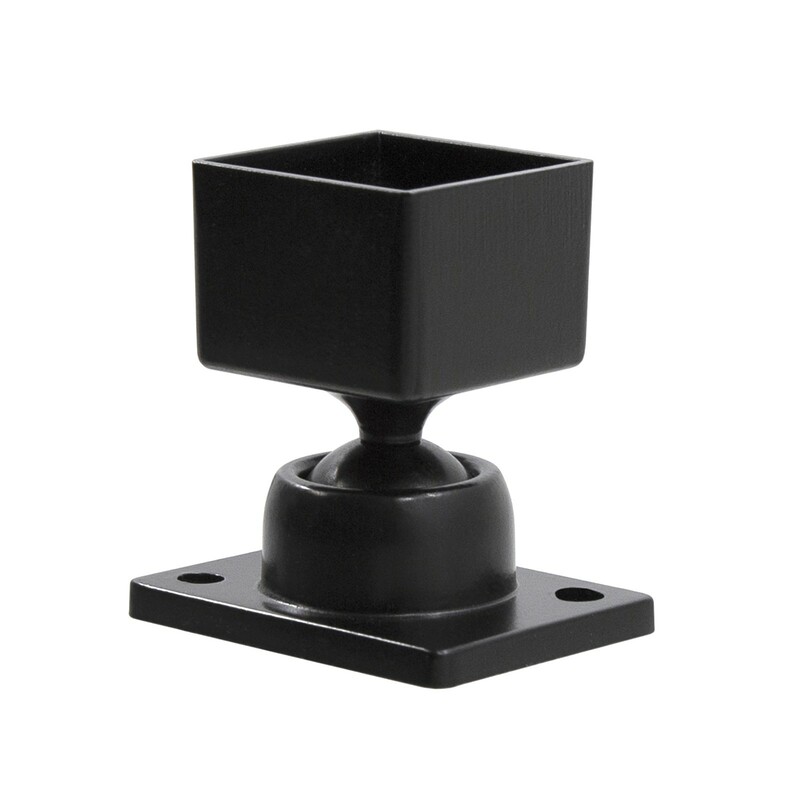 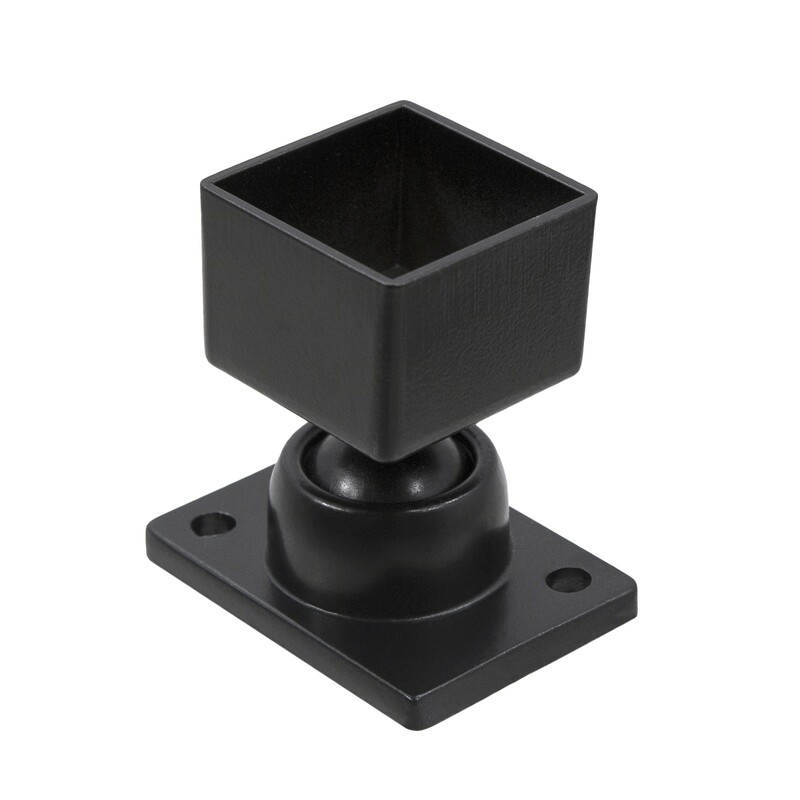 This 1 1/4" x 1 1/4" Aluminum Fence Adjustable Swivel Ball Bracket was designed for attaching rails to either walls or posts and with its fully adjustable swivelling ball joint, you will be able to adjust your rail in any direction. 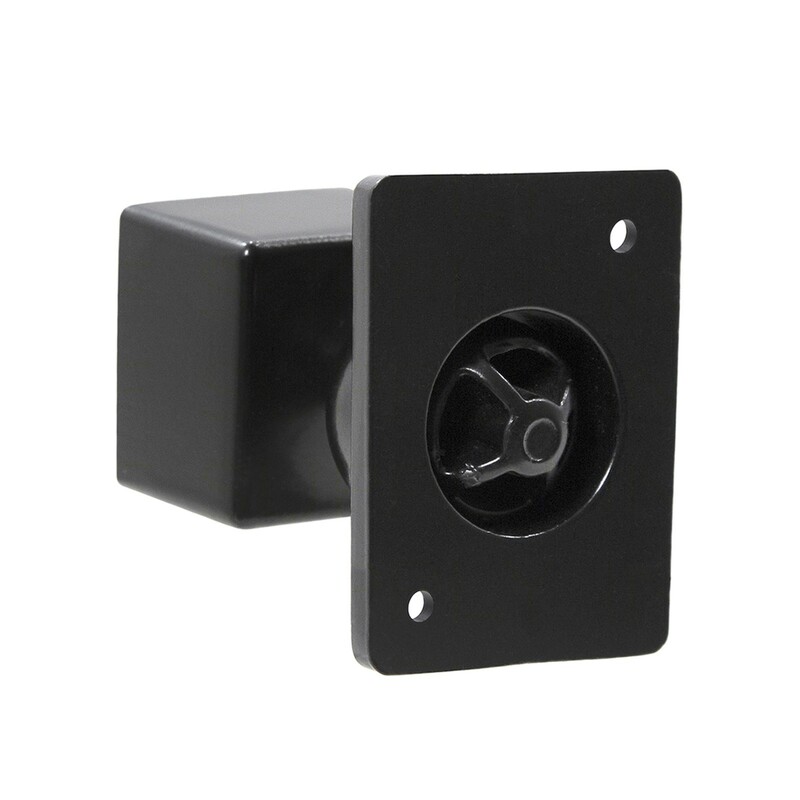 This 1 1/4" x 1 1/4" Aluminum Fence Adjustable Swivel Ball Bracket was designed for attaching rails to either walls or posts and with its fully adjustable swivelling ball joint, you will be able to adjust your rail in any direction. Does not include mounting screws.